“I almost got beat by a 6-year-old!” exclaimed Mexico’s Emil Garcia Bustamente. 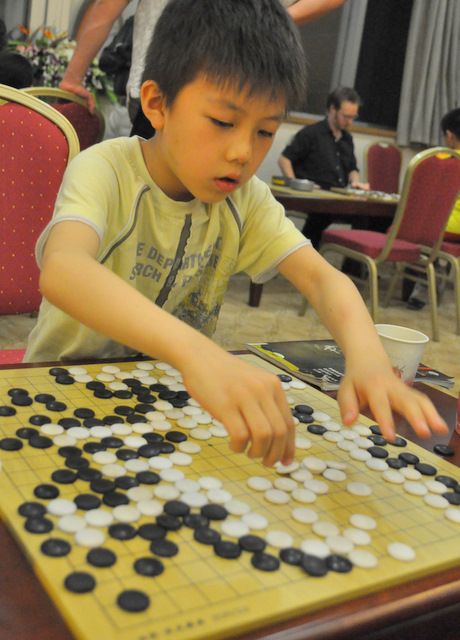 None of the other players in the room responded: they were too busy battling with other pint-sized go -terrors. 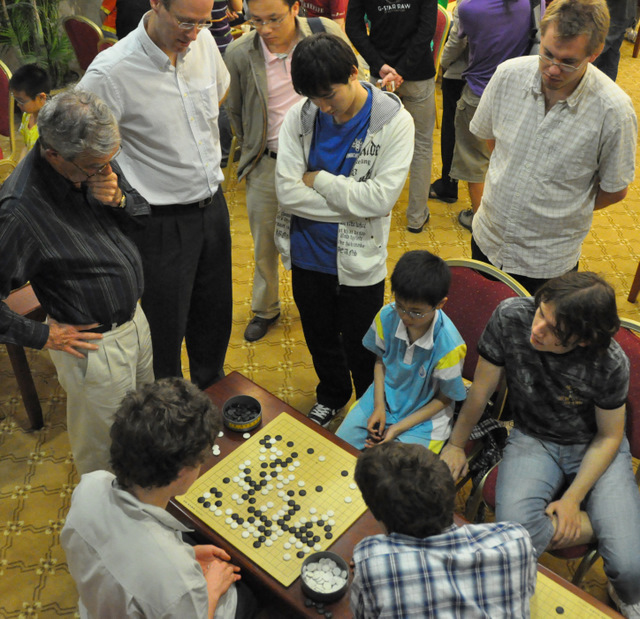 Friday’s 6th round had just concluded a few hours previously, but the casual player’s room was jammed with WAGC players taking on young dan students from the Hangzhou Go Association who were equally eager to take on the world’s best amateurs. The kids played with blazing speed as the older players – even 17-year-old Thomas Debarre of France was an oldster compared to the six- and seven-year-olds — muttered their disbelief – and appreciation — in a dozen languages.